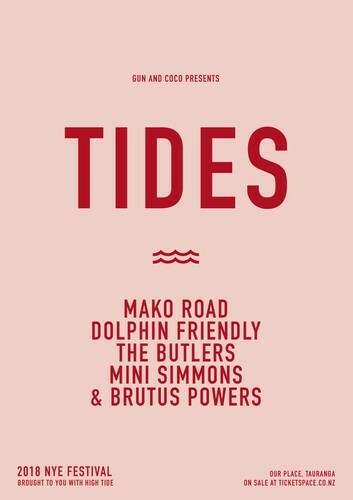 Gun and Coco presents, Tides Festival. A the newly launched New Years Eve music festival right in the buzzing hub of the sunny Bay of Plenty. Carefully curated, this event draws in music lovers to celebrate a yummy mix of local NZ talent in the beach town paradise of Tauranga. Our Place offers up the perfect scene to gather for a festy by the waterfront with a fully equipped 40 tap bar and the Bays most popular food vendors. Join us on the 31st December under the stars and amongst the container city, we can guarantee you will count in 2019 with a bang!